Best Rain Jackets: Some of the wettest seasons in the world is experienced by us out here in the Pacific Northwest. So, yes, we know a thing or two about rain jackets. We are keenly aware of the many benefits that a top rain jacket offers, besides the usual factors like the waterproof nature and the breathability factor. Some of the best rain jackets of 2019 were purchased and then tested extensively by us. The results are what this list is about. Remember that nowadays, there are plenty of rain jacket manufacturers. Most of them are of no good actually. Therefore, this list of the top rain jackets should indicate the only ones worth considering. It is also important to remember that we when it comes to trekking and camping, there are plenty of newcomers. They may not be aware of the rain jacket reviews as much as the professionals are. This is why we have also added a rain jacket buying guide at the end of the post. If you’re planning for a trip in rainy season, then you must add rain jackets in your backpack. These jackets will help you to stay dry and fulfill every bit of your wanderlust with super ease and comfort. Here we present a list of 7 best rain jackets 2019 exclusively tried and tested by our experts. Have a look! Marmot clearly believes in minimalism. Nowhere is this better evidenced than the Marmot Minimalist Lightweight rain jacket. 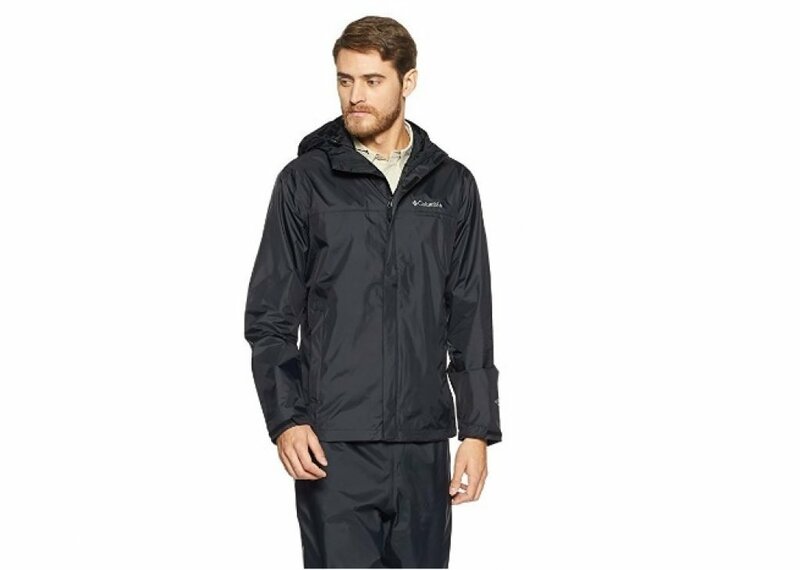 This specific model is ideal for both men and women; indeed, on this list, this is quite clearly the best rain jacket for men. Lightweight, comfortable to use, and extremely stylish, this rain jacket has everything it takes to be successful. This minimalist rain jacket is ideal for both hiking and daily use. While many would argue that this model is not exactly budget-friendly, it is also true that the very design and the feel inspire confidence. The zippers, for instance, are much better than most budget rain jackets 2019. Two things that stood out for us when we were using it were the broader diameter cinch chord as well as the rather easy to use toggles that we saw on the hem and the hood. The entire design and the manufacturing standards used are confident and fluid. The shell lining that is used is better than most average rain jackets. The hood seems and feels nice and warm. It is also able to withstand a significant amount of rainfall and wind. Also onboard is the Gore-Tex’s PacLite waterproof laminate which is able to resist even the most sustained abuse. While we will admit that this jacket will not be of great use in warmer climates, when it comes to the best rain jackets for cold weather, this entry takes the cake every single time. Marmot has designed this jacket to last as is evident. This is the best lightweight rain jacket 2019. With the minimalist design and the style quotient, this is indeed one of our most favorite jackets. It is also extremely useful when one is either camping, hiking, trekking or just passing through a beautiful city with travel buddies when it is pouring down. 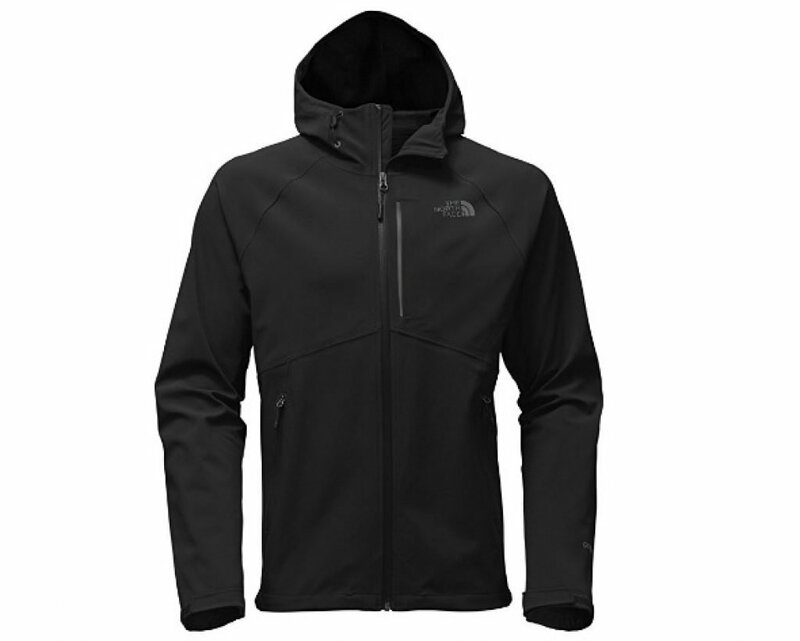 North Face is one of the most popular names in the world of camping equipment and outdoor gear. It is but natural that at least one of their products should make this list. The North Face Apex Flex review should start with the fact that it is very soft on the inside but thick and bulky on the outside, something that will inspire confidence in the wearer. 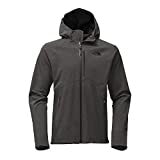 While it is true that most of the top rain jackets tend to be minimalist and lightweight in design, it is also true that North Face apparently differs on this point. Weighing in at a burly 28.32 ounces, this is the heaviest rain jacket on this list and should be used only in those situations where the weight is not a factor that needs to be paid a serious consideration. The thick softshell-like feel that this jacket offers is unparalleled. Having said that, it is true that when we wear this on our daily commute to the office in Seattle, this model does protect us from the strong winds, the light breeze that comes in from the South from time to time, and provided us the necessary warmth to stay snug. One more thing must be said at this point: the tough and sturdy 3-layer Gore-Tex protection is well complemented by the extremely soft and snug feel on the outside. This jacket is extremely comfortable to wear and is the softest rain jacket of 2019. It is clearly not intended for use when the weight is an important factor and we do not recommend it for a hiking or camping trip. Arguably one of the best rain jackets, this model is extremely heavy but offers a certain amount of warmth as well as wind-resistance. This model is ideal for daily use when it does not have to be carried in a backpack as on a camping trip. Overall, this model offers a certain amount of bang for the buck as well, as the model can be a pretty expensive one. Another name that is familiar in these circles is Patagonia. It should not be a major surprise to note that the Patagonia Torrentshell jacket is on this list. When you take the women’s variant of this model, you get the best rain jackets for women 2019. The jacket looks and feels premium without your needing to shell out a lot of money. Clearly, this model has a lot in common with the likes of the Marmot PreCip. Thanks to a draw-cord around the waist, the rain jacket has a better than average finish. This model has the drawcords on both sides and we believe that this is one of its most distinguishing features. Moreover, the streamlined flap does not require any Velcro cover to cover the entire zip line. Remember to tightly zip up the entire line or else some water will seep in especially when it starts raining. This is one of those models which is obviously clean and functional in its design. 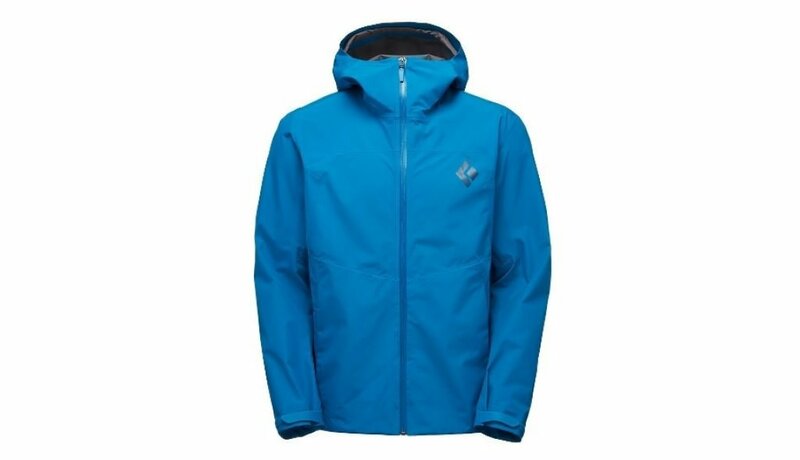 While it is true that this model is slightly more expensive than many of the top rain jackets, it is also true that the Torrentshell offers a more premium feel. When it comes to the best entry-level rain jackets, this is one of the few options which has a hood whose design is top notch. The back of the hood has a single cinch using which the jacket sits snugly. Lastly, as far as this option is concerned, it has onboard the Patagonia quality which makes it all the more attractive. It is highly recommended if you wanna carry for an easy-to-carry yet instantly ready rain jacket with you. Patagonia has actually managed to create a product where the design and aesthetics merge seamlessly with each other. This is the best-hooded rain jacket on this list and judging by the performance, the model will go a lot further than that. A great purchase, even if the price may seem high at first. Black Diamond products have been featured every time we have written on outdoor equipment be it best down jackets or camping hammock. In this case, too, the list would be incomplete without the Black Diamond Liquid Point Shell. This is the point on the list where the price tag gradually catches up with the quality and the features offered. This model marks the transition from seemingly entry-level products to something more worthwhile to the serious camping enthusiast. Weighing in at just over 13 oz, this model is categorized in both the performance as well as the hiking areas. 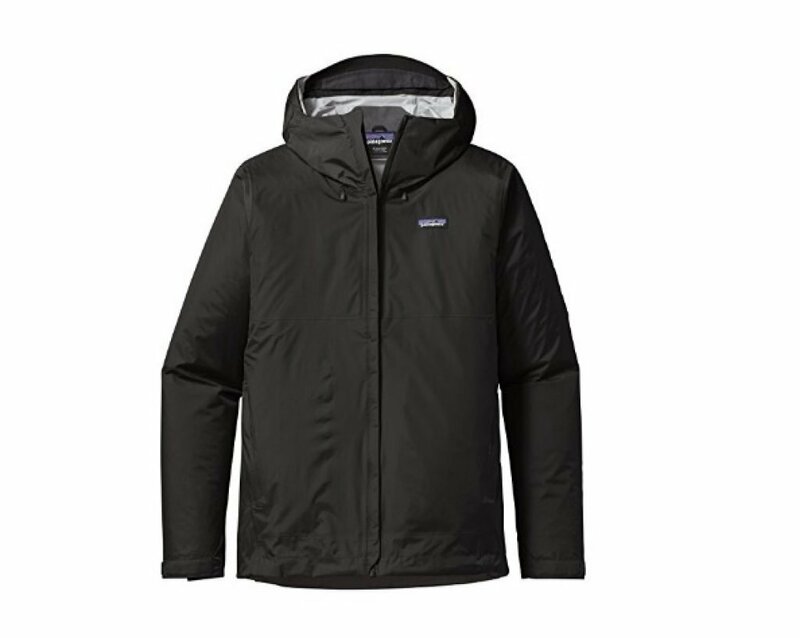 This model is also something that packs a punch with its Gore-Tex Paclite shell. However, unlike the many rain jacket models, this is not at all boxy; rather, it places greater emphasis on comfort. We tested the Extra Large option and were pretty satisfied with what we found out. The Black Diamond Liquid Point Shell review must also take into account the fact that this model has a slick and clean design which we wish most other companies took into account. The Liquid Point Shell too has a hood and a rather large one at that. It is big enough to even fit over someone wearing a climbing helmet on his or her head. While most comparable jackets have three pockets, this model only has two. There is an upside, however. Compared to some of its closest competitors, this model is around 1 pound lighter, making this an automatic choice for many hikers and backpackers. The Black Diamond Liquid Point Shell is something that you can safely choose on any given day. While it is admittedly costlier than many comparable products, it packs quite a punch with its construction, materials, and overall style. Some minor points, if taken into account, will make this one of the best ever rain jackets. Outdoor Research jumps onto our list with the very reliable Helium II. This model is available for both men and women. In our opinion, the women’s variant of this rain jacket is the best women’s rain jacket of 2019. The Helium II is most definitely one of the most stylish rain jackets. It also comes with a hood making this extremely handy for most hikers as well. The first thing that struck us when we were delivered our own Outdoor Research Helium II was how lightweight it actually was. Thanks to the waterproofing offered by the proprietary 2.5-layer Pertex Shield+ layer, this model is advisable for use even in the foulest weather imaginable. When you consider the fact that this model is about $40 to $50 cheaper than most comparable items, the Helium II is one of the most attractive options. In fact it is one of the best rain jackets under $150 for sure. . Most of the features are what one should expect from an ultralight rain jacket. The Napoleon chest pocket comes with a water-resistant zipper and it is roomy. A single drawcord adjustment is present for both the hood and the hem. Overall, this jacket is one of those models which does not offer too much breathability. It also lacks pit pockets and other ventilation options, which is a major downer. However, given its cost-effective nature and the capable performance and we feel that this is a worthy addition to the long list of the lightweight rain jackets. All in all, this model can be bought as a capable alternative to your favorite rain jackets. Given that it is super-light and packable, it is also something that can be carried in a backpack. This model comes recommended for the reason that it offers capable performance without burning a hole in your pockets. Columbia manufactures some extremely good-looking and stylish rain jackets. This is one of the best rain jackets under $100 on this list. The Columbia Watertight is a true unisex jacket; however, there are separate models available. This jacket is ideal for both daily uses as well as on hikes. It is comfortable to wear, easy to use, washable, and comparatively airy. The water is extremely watertight too. Thanks to the 2-layer Omni-Tech proprietary technology that the company uses, the rain jacket is worthy of the waterproof tag. This is a value-for-money rain jacket that is ideal for high-altitude treks too thanks to the lightweight nature. This specific model is also frequently available on discount. When we were testing it for performance, we were impressed by the sturdy build and the fact that there are good seam taping options. On another note, this remains one of the few available cheaper options that has a 2-layer waterproofing fabric. This also means that the item is one of those select few which has a hanging mesh interior. While it makes the jacket slightly bulkier, it adds a lot of comfort to it as well. The sizes that the jacket comes in are pretty accurate. While this is a trim-fit jacket, it does provide full-body coverage as well as a lot of extra features. Overall, this rain jacket is easily one of the best casual jackets. It also comes in several interesting colors. This rain jacket is one model that we like to keep handy on a trip. 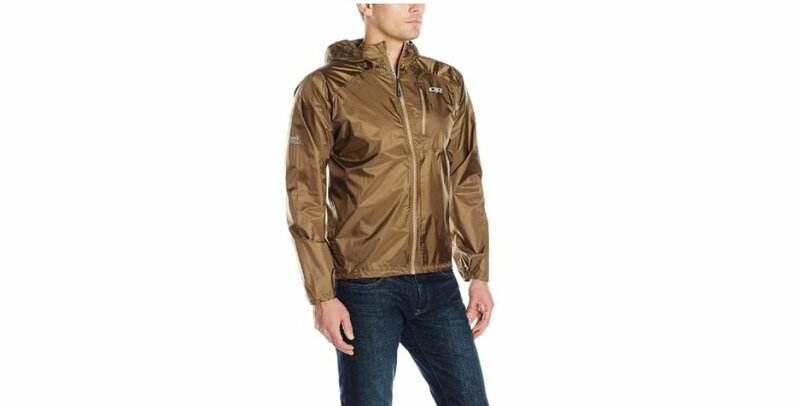 This model is one of the most inexpensive models of the rain jackets genre. Given its serious style quotient, this is a good contender of the lower-price spectrum range. This jacket is also available in a variety of colors and with great style features. Overall, a great bang-for-the-buck buy. Arc’teryx is one of the newest entrants in the genre of rain jackets. The beta hybrid jacket is definitely one of our favorite rain jackets. Our friend who tested it and who is 5″9′, 173 lbs, says that this model’s medium size variant in Black is what suited him the best. This model is also well-known for its extremely waterproof nature which has never managed to disappoint us even once. Thanks to the presence of one long zipper under each arm, this jacket is pretty well-ventilated. The overall fit is also pretty good, leaving us wondering if this is indeed so inexpensive. We double checked and it was indeed rather inexpensive. It is also extremely comfortable and lightweight. Together with the fact that this ventilated jacket also has a drawcord around each end, we believe that this item is extremely useful for both trekking and daily use. This is easily one of our most favorite rain jackets of 2019. Trustworthy, comfortable, and fun. 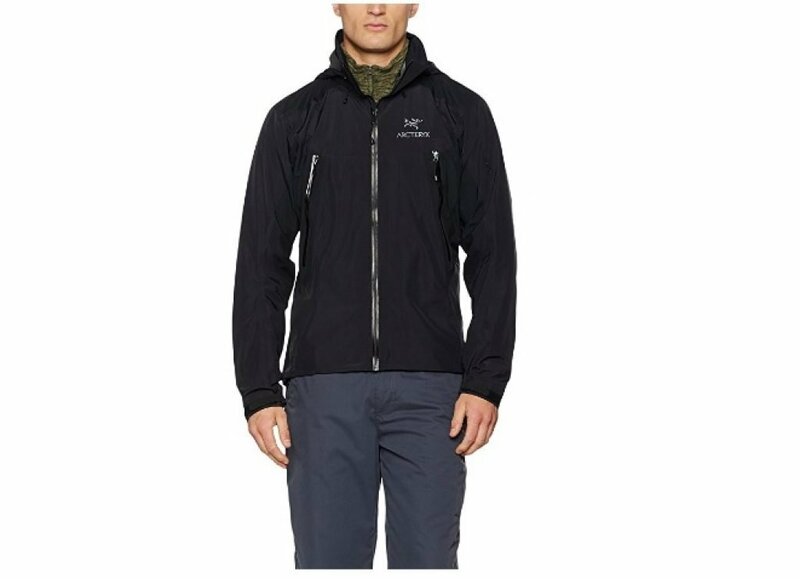 Lastly, this is definitely one of the most popular Arc’teryx products currently on sale. So, in the case you do wish to buy some of their wares, you should do so quickly. This is easily one of the best lightweight rain jackets of 2019. The design elements are right on cue and the waterproofing nature is excellent. While the jacket may be somewhat heavy for everyday use, it is right for use in any major city where it rains a lot. There are certain criteria that must be fulfilled in order to purchase the best rain jackets of 2019. Just remember to follow some of these observations. There are certain categories that must be remembered. Most of these jackets come in several variants: some are or hiking and trekking and are comparatively bulkier and warmer. Some others are meant for daily use and need not be too bulky. You have to decide which jackets are the best ones for you as well. If your target is a minimalist jacket in a Gore-Tex Paclite model, you may end up buying a Patagonia Torrentshell. These jackets are also best jackets for trekking use. If you intend to go outdoors on a regular basis, you must choose something like a performance-oriented rain jacket. These are soft rain jackets for women and also come with their own shell for an extra and added function which is extremely desirable. Other types are the trail running and the ultralight jackets. We have listed some of the best ultralight rain jackets for men and women on this list as well. Remember that trail running jackets must be extremely lightweight a la the Arc’teryx model on this list. While no model is completely waterproof or even can stand water more than a certain level, there are certain examples. For example, to choose the best rain jacket 2019, remember that the water-resistant ones include the light rain jackets, the windbreakers, and the soft shell models. On the other hand, the real waterproof ones will include the ones which have a built-in laminate layer like Gore-Tex. Therefore, depending on the area where you are going, you must be able to make a decision. Additionally, you will find that there are 2 layer, 2.5 layer, and 3 layer jackets on the list. Depending on the ones that you need, you may choose your model. Some of the top rain jackets are also some of the lightest ones. Thus, they can come in a number of shapes and sizes. The weight of such a jacket is of paramount importance because many people tend to go hiking with them. Try and keep the weight factor as low as possible. Note that some models like the Outdoor Research Helium II can weigh a mere 6.4 ounces while some more premium ones designated for climbing, can go up to a pound. Thus, make sure that you decide the weight correctly. If a jacket is not breathable, you must make sure that you buy one which actually is. If a jacket is not breathable and not airy, you will be in a dilemma as to which one to choose. Make sure to remember one thing: the more the breathability, the better it is. Thus, it is highly essential to remember to buy such a jacket. Ideally, the jacket must be extremely portable and packable. This means that it should not be too bulky or weighty. Any of the two last factors will ensure that the jacket is not packable at all. On our testing missions, we found that the jackets we tested were extremely portable, with one major model topping the charts: the Arc’teryx. Ensure you have these points. While the definition of features is manifold, the most common ones are the pockets, pocket placements, the hood or the lack of it, and the fact that the hood must be adjustable. Pit and side zips are also extremely useful. All in all, do remember that the more the features, the better the top rain jackets of 2019 are. 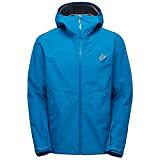 Rain jackets under $100 normally do not have so many features, excluding certain models. Overall, do remember that these best rain jackets 2019 have been chosen by us after careful and rigorous testing. If you do not find your favorite ones on the list, make sure that you add them to the comments section, along with why they should be added, in your opinion. The best ones will be awarded.